effectiveness of their investments in talent. Productivity and labour cost remain important measurements; these are the tools investors, lenders and businesses use to benchmark progress (or lack of it). They are largely standardised in many industries, and thus easy to implement. Yet for many CEOs, those tools aren’t enough. They are very good at telling a CEO how the business is performing today relative to its peers, but not at indicating whether the organisation is investing enough in employees to generate future growth. 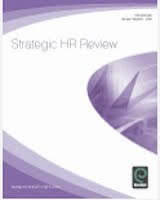 “Yet in many companies there has been a lack of understanding and visibility into how human capital is managed — a shortage of analytical insights about where investments are made, what form the investments take, their impact, and how best to shift resources and practices. In a survey by Mercer, for example, CFOs reported that their organizations spent 36 percent of revenue on human expenses, but only 16 percent said they had anything more than a moderate understanding of the return on human capital investment. In a similar study of 3,000 senior managers, executives gave their firms low marks when describing the employee-related data they need for decisions. The gap between the data they needed and actual quality of the data they received, leaders said, was more than 50 percentage points. Clearly, these business leaders, including HR executives, are concerned that they are not making decisions with the same rigor with which they make decisions about marketing, supply chains or product strategies. And without clear metrics and a deep view into data on the workforce, the organizations have not had business intelligence reporting on their key assets — and have not had access to insights to create strategies to drive better business performance. This reads like a problem but the real issue here is simply that CEOs and their Heads of Talent haven’t figured out that it’s not just that these measures are hard to make, it’s that a lot of the more value adding and creating attributes a CEO would like to know, eg on skill gaps and pivotal jobs, simply can’t be measured in ways that would be ‘adequate’ in other business functions, that understanding is never going to be more than ‘moderate’ and that they’re just not going to be able to make decisions with the ‘same rigour’ as for marketing, supply chains and product strategies. However, the issue about all of this isn’t only that CEOs are going to be disappointed, it’s that the attempt to add rigour is likely to drive businesses towards lower value approaches to talent management – exactly what heads of talent shouldn’t want to do. Take the case of an organisation with a data warehouse. There are two main challenges here. The first is in ensuring that all relevant data elements (higher and lower value) are captured in the warehouse. Otherwise and correlations which are found may just be predictive, not truly causal, with the real cause existing outside of the warehouse system. But more importantly, as most of the data elements are likely to be lower value, any strategies that emerge from the analysis are likely to be lower value too. So it is important that these lower value strategies are supplemented with higher value ones. And that requires more comfort with this different type of data and analysis – another significant challenge for heads of talent! In my last post, I wrote that I’d explain more about why it is that I don’t think “commercial savvy and speaking ‘business’ rather than ‘HR’ language” is the way forward for talent management. “At Michelin, knowing people, and helping them to reveal and develop all their potential, to “become what they are” at their own pace, is personnel’s primary function. “People are recruited by personnel, for a career, not a job, and personality comes before competence. An individual’s potential to develop is the cornerstone of all career management. Therefore, careers take precedence over short-term operational needs, and managers do not 'own' their people. They are responsible for managing performance, developing skills and creating conditions for success, including releasing people for the greater good, when required. Managers cannot manage career development, because their relation with their employees is limited in time and space and they do not have access to opportunities outside their own sphere of influence. The vast majority of managers willingly accept these limitations, because they know their own career progression follows the same rules. Career managers are independent from line management. They are responsible for rating employee potential, a process which starts at recruitment and is updated annually, for drawing up succession plans and individual career paths, and for brokering every move and making the formal offer to the employee. They have access to all opportunities in the group and actively push employees to broaden out by changing departments, businesses organisations and geographical locations. They select participants for fast-track development programmes. It’s this, talent-centric sort of focus that I think provides the biggest opportunities for talent managers - though I do think the term ‘personnel’ often smacks of too much of an employee focus. We need to put employees / talent / people first, not just because that’s the right thing to do for them, but because it’s also by doing this that businesses can gain the greatest returns as well. You’ll also find interesting (I think) conversations on a people vs business perspective on this blog, and in the comments to this article at HR Magazine. And I also love this article on Forbes.com: 10 reasons the human capital zeitgeist is emerging. Contact me to learn more about Careergro – the employee focused career management system (also exhibiting at the HRD conference). And stay tuned for more on talent opportunities and challenges, and to win tickets for the Economist’s Talent Management Conference. “Providing internal career opportunities can help organizations keep top talent from seeking those opportunities elsewhere. Contrasting our findings from 2011, fewer organizations, nearly 60%, indicated using career development as a means of affecting retention. Likewise, formal career development programs were only used by a little more than one-fourth of respondents. This last comment refers to Bersin’s analysis which I’ve posted on recently too. However, I strongly echo the sentiment from a personal perspective as well. And it’s no wonder that, if organisations are giving up on career development, that in their 2012 Management Agenda, Roffey find that 30% of employees (35% in the public sector) feel their careers are on hold. We know that career paths have changed, becoming much more complex (if they’re still in existence at all). For example, in their mass career customisation work, Deloitte (Benko and Weisberg) suggest that in the talent age, the industrial age ‘one size fits all’ career ladder is morphing into a series of flexible, personalised, zig zag career paths, or career lattices (and I think that is the positive spin). Instead of trying to force nonlinear careers into one career ladder, they urge organisations to embrace and capitalise on these different expectations. Bersin take the analysis further, suggesting a range of options that can support career development and mobility, and proposing that the key is matching organisational needs within individual needs and desires. I agree there are some wonderful examples of firms which use career development to help match the supply and demand of their talent (eg IBM’s workforce management initiative, which I’ve blogged about previously). And I also agree that use of a broader social networking system to share vacancies and allow people to promote themselves will increasingly become the norm (I’m less sure about the future for separate social networking tools that just support career development – see Taleo’s recent report on social talent). “Career development is focused on what the organisation can do for the individual, such as training and promotion opportunities. Therefore the responsibility is predominantly on the organisation and not on the individual. This is a relatively transactional approach as the focus is on satisfying the employee, rather than on what will help them flourish. This means that the potential benefits for both the organisation and the individual may not be as sustainable. Has a positive mindset and the resilience to maximise their potential. Externally facilitated career development/portfolio building events. The problem with these is that workbooks are unlikely to be used for long and workshops, plus coaching etc, are prohibitively expensive in most organisations - hence the need for technology solutions. And the best technology solution that I know of, and I’m now working to support, is Careergro. Socialising career goals (goals, I think, can benefit from a separate social networking system, as having this split reinforces the focus on the individual vs just the company). Let me know if you’d like to know more about this system. I’ll also be continuing to post on talent managers’ challenges and opportunities, and will shortly be offering up two tickets to attend the Economist’s Talent Summit in London on 14th June, which I will also be speaking at and blogging about on the day. Right, well I’d half-started a series of posts on talent management (see ‘the truth about talent’) which I’d better complete… and rather than turning this into something that I’ll never get done, I’m just going to summarise a couple of the latest inputs on talent management which have caught my interest. “Theoretically, finding a good candidate to fill a position should now be a very straightforward exercise. There have never been as many educated people in the world, nor has it ever been as simple for employers to tap this vast pool online. Highly skilled talent is also highly mobile; but just in case, networking advances also mean that many more tasks can be handled remotely or outsourced. One in four CEOs said they were unable to pursue a market opportunity or have had to cancel or delay a strategic initiative because of a lack of talent. One in three is concerned that skills shortages impacted their company’s ability to innovate effectively. However, there is at least some powerful evidence of firms focusing on smart talent management approaches to deal with the challenge, however significant this is seen. 23% of CEOs surveyed expect ‘major change’ to the way they manage their talent. It’s because talent is so central to competitive success, that I think business management needs to focus on talent (not talent management on business). I’ll be continuing to post on challenges and opportunities for heads of talent next week. And I’ll also be describing how you (internal practitioners only, sorry) can win a ticket to the Economist’s Talent Management conference this June, where I’ll be chairing one of the panel sessions, and am once again the sole official blogging partner too. As well as career development, performance management, recruiting and learning, the two key themes of the conference were probably big data, and agility. “In today’s fast-changing business environment, organizations tell us that their #1 goal is to improve their “business agility” – their ability to understand market changes, rapidly adapt, and operate as a globally integrated business. How can your HR, learning, and leadership programs help make this happen? Well unfortunately, many existing HR and L&D programs are getting in the way. A recent Economist Intelligence Unit study (Fall of 2010) found that Human Resources is the ‘least agile’ function in most businesses, less change-ready then even finance and administration. The old fashioned processes for training, performance management, succession, and compensation are just not keeping up. Supporting Josh Bersin’s presentation on agility was another from Matt Milbrodt at Walmart. After having performed the Walmart cheer (including squiggley – well, as a Brit, I took photos of everyone else doing it instead [and I bet Asda staff don’t do one!]) – we learnt about Walmart’s agile approaches to keep up with some amazing growth projects – from a base of 2m employees today, Walmart needs another 4m people by 2013 to cover growth and replenishment! So recruiting, development, retaining processes have to keep up with this pace. I particularly liked the example of a group selection process from Walmart Canada in which 9 managers interview 18 associates in one 1.5 hour session. The process includes role plays and scenarios, benefits, including career etc, and speed meetings and interviews. Oh, and the Walmart cheer of course. The process is completed by a collaborative hiring decision. The other process area that seemed to get a fair amount of focus at Bersin Impact, other than performance management, learning / leadership development, and recruiting, was career development. This is perhaps not surprising given that Bersin see “talent mobility as the new competitive advantage”. For example, in the keynote from NBC News, Dana Tomechko suggested that one of HR’s main opportunities is to inspire and support employees in career development, eg helping them try something new and even stumble. Employees often don’t have time to consider the next career move and HR can help them explore the ambiguity, understand their next steps and foster their career narratives. Embraces change – even when this is undefined. Their most interesting strategy is probably the team’s support for connecting people – often using electronic media. Even when they meet an employee that try to share a name and make a virtual connection with another employee. Employees are working harder and connecting less and often have no time to understand the larger team and across the HR profession we are loosing out ability to network too – but this should be at the front of the HR agenda. NBC News seek to ask as many question as the company’s journalists, and to understand these individuals’ histories – where they have excelled, where they’ve stumbled – and to draw their stories out. These connections and stories provide a great basis for talent mobility and career development. However the main presentation on this topic was provided by Don Kraft, Director of Learning & Development at Genentech (Roche Pharmaceuticals). Their career development focus has been built upon an exiting mentoring initiative, as the need for mentoring has fallen from the top three list of why people leave Genentech, being replaced by people looking for career development opportunities in the new era of flat growth in pharmaceuticals. However, the fact that mentoring has already been in place helps. And the success of the mentoring programme is due partly to it being confidential, levels of trust, matching being done from different organisation structures, and the mentoring action plan being focused on mentees’ learning goals. Genentech’s CareerLab was introduced three years ago and consists of career conversations (45 minute sessions up to 3 times per year); learning labs, mentoring and career readiness assessments. The mentoring services consist of formal mentoring programmes; eHarmony type mentoring matching and a mentoring toolkit which employees wanted to create their own self-directed informal mentoring partnerships. The toolkit consists of tools and resources and supports a mentee driven process. This has benefits to both the individual and to Genentech (in particular being much less time consuming than the formal programmes). I think I was most interested in Don’s inputs on this toolkit - partly because I do think technology can provide the critical enabler that makes both mentoring and career development work, as physical mentors and coaches can often be too expensive, and paper based guides lack the easy to use functionality and retainability of an electronic toolkit. And also because I’m currently working with a start-up vendor; Careergro; providing a new career development system which I believe will help other organisations capture the same benefits from career development as, and more easily than, Genentech. 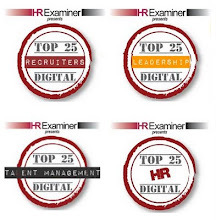 Welcome to the new HR carnival, returning to Strategic HCM for the sixth time, and featuring a great mix of HR blogs from around the world including Malaysia, India and Abu Dhabi, as well as the UK and the US (where I currently am, having just driven up from a technology vendor’s meeting in Fort Myers to the Bersin Impact conference in St Petersburg). We’ll start with eleven posts focusing on leadership and individual effectiveness, a number of which have a particular focus on the requirements to be an effective HR practitioner. Patrick Mullarkey, Mentoring Mullarkey, What you going to do when Hulkamania goes all professional development on you?!?!. Mike Haberman, Obsolescence will eat your lunch. 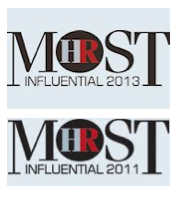 Naomi Bloom, In Full Bloom, Reprise — The Road From HRM To Business Results Is Littered With Misguided Metrics. I hope you enjoy the posts, and thanks to all contributors. More information about future carnivals can be found here. Sorry for not blogging for a while – sometimes I just loose the motivation (it always comes back again though!). The challenge when I’ve had a lull though is choosing which of those things I’ve missed commenting on that I’m going to try to catch up on again! I think I’m going to limit this to one event I attended last Wednesday, organised by Fairplace Cedar, and featuring Jeremy Kourdi, co-author of The Truth About Talent. For Jeremy there are a number of problems with the traditional focus of talent management, ie of those who are outstanding based upon the way they develop relationships, change things and invent things. This is a particular problem because more than ever, talent operates systematically and through relationships. I’m not totally convinced by the doom loop, but I do agree with the broader problems concerned by an overly exclusive / differentiated approach to talent management. However, as I commented to Jeremy after the event, I don’t think the problem is limited to disengagement. Organisations need people to work together, and if the ‘untalented’ feel differentiated from the ‘talent’, then they’re not going to see themselves as ‘people like us’, and they’re not going to work together so well. So there’s a direct hit on productivity too. 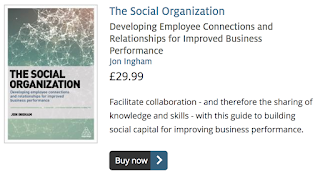 In his book, Jeremy writes about social capital (thanks for the mention on p102 by the way Jeremy!) 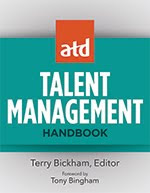 and this is the truth about talent for me: talent management in the way that Jeremy describes it makes some sense from a purely human capital oriented perspective, but it makes little sense from a social capital oriented one. From the social perspective, it’s the performance of the whole organisation which is important, and singling out particular individuals as different is going to be mainly unhelpful to achieving this objective. Talent managers therefore need to consider the effectiveness of their whole organisations rather than just the talent piece if they’re going to maximise their impact (see for example Ed Lawler on the organisational effectiveness role). I’ll be continuing to post on challenges and opportunities for heads of talent for the rest of this week. And I’ll also be describing how you (internal practitioners only, sorry) can win a ticket to the Economist’s Talent Management conference this June, where I’ll be chairing one of the panel sessions, and am once again the sole official blogging partner too.